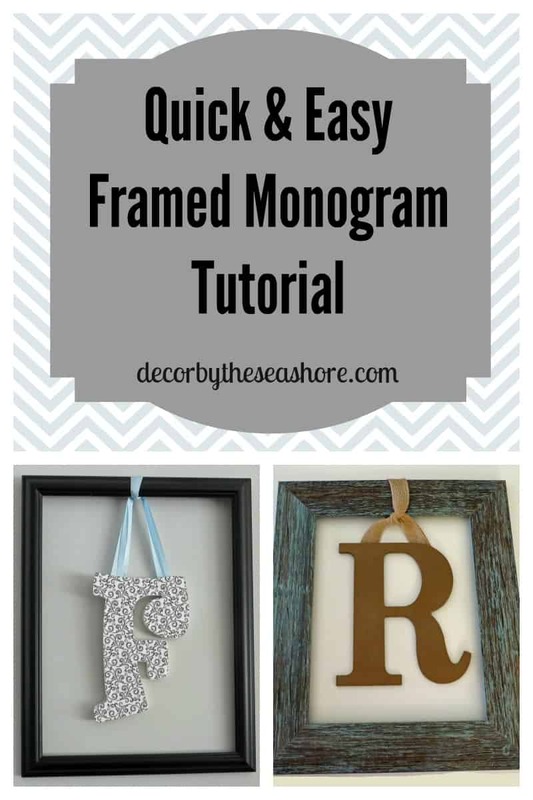 Framed monograms are so easy to make and are perfect for displaying in your home or giving as a gift. They also are a creative way to use a frame that doesn’t have the glass anymore. I actually turned a craft fail into a craft win with this project. The glass in a frame I was painting was a hair too large, and I chipped it slightly when I removed it from the frame. I knew I would have trouble getting it back in, and even though I was so careful, the glass ended up cracking. So I decided to buy a new frame and turn it into a framed monogram so that I could use the glass in my painted frame. Win win! Now onto the good stuff! 1. 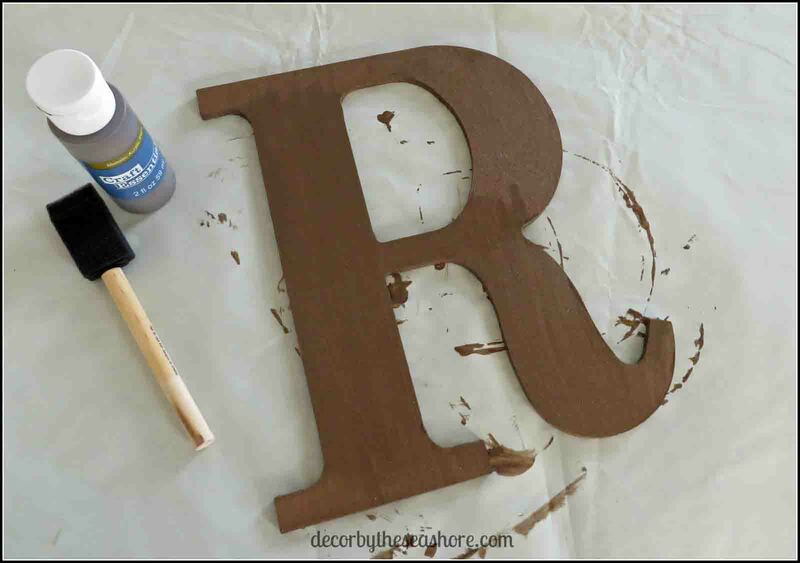 Paint your wooden monogram letter with the paint you selected and let it dry. I used two coats of paint. 2. If you haven’t already, remove the glass and back from your frame. Fold back the little tabs that hold the back onto the frame. 3. 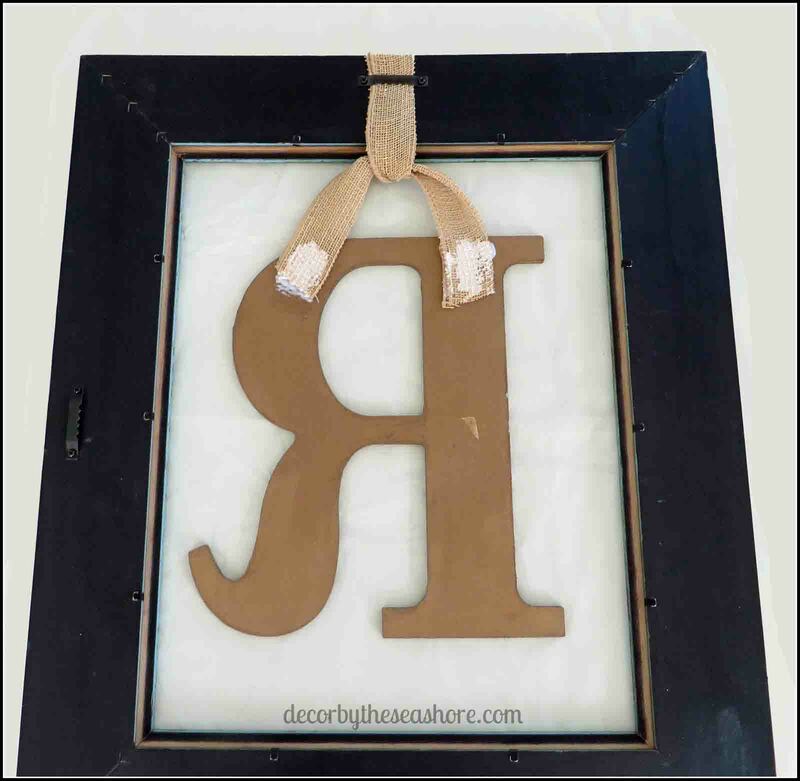 Cut a piece of ribbon/twine that is long enough to tie around the top of the frame and glue to the back of your wooden monogram letter (about a foot and a half or so). Tie the ribbon around the top of the frame, making sure to thread it under the hanging hardware on the back of the frame. (My ribbon was very wide so I ended up folding it in half.) Cut off any excess ribbon. 4. Glue the ribbon to the back of your monogram letter and let it dry. I made this framed monogram for my sister-in-law as a wedding gift. She is going for a more rustic feel in her home, so I didn’t add too much frilliness to it and went with basic colors. It’s hard to tell from the pictures, but the paint is a metallic brown that picks up the light nicely and the ribbon has shiny gold threads running through it, so basic but beautiful! You are more than welcome to add all kinds of accessories to your own. I have seen people add bows and flowers to the letters to give them more pizzazz. Get creative, the options are endless! 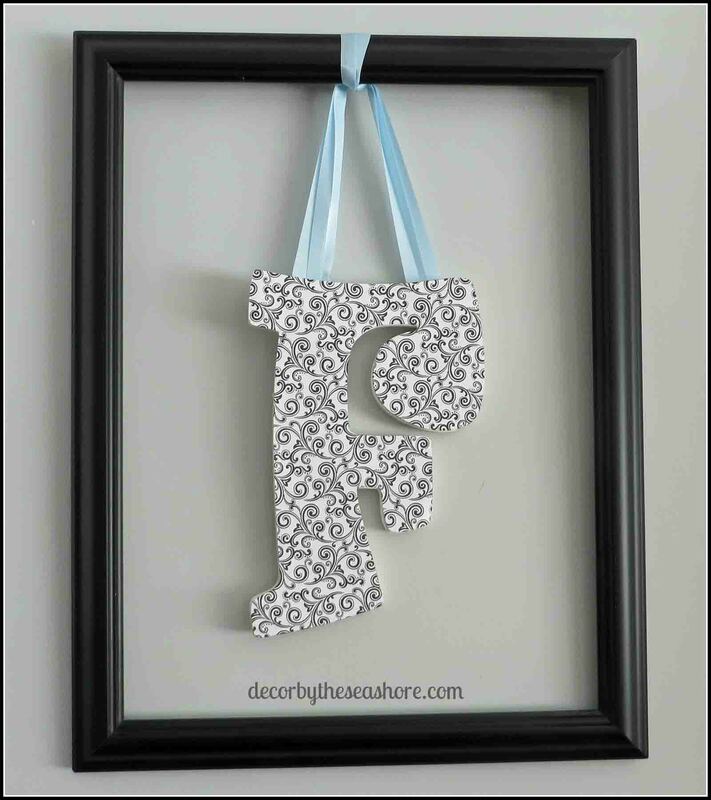 Here is another example of a framed monogram I made, but instead of painting it, I used scrapbook paper and mod podge. 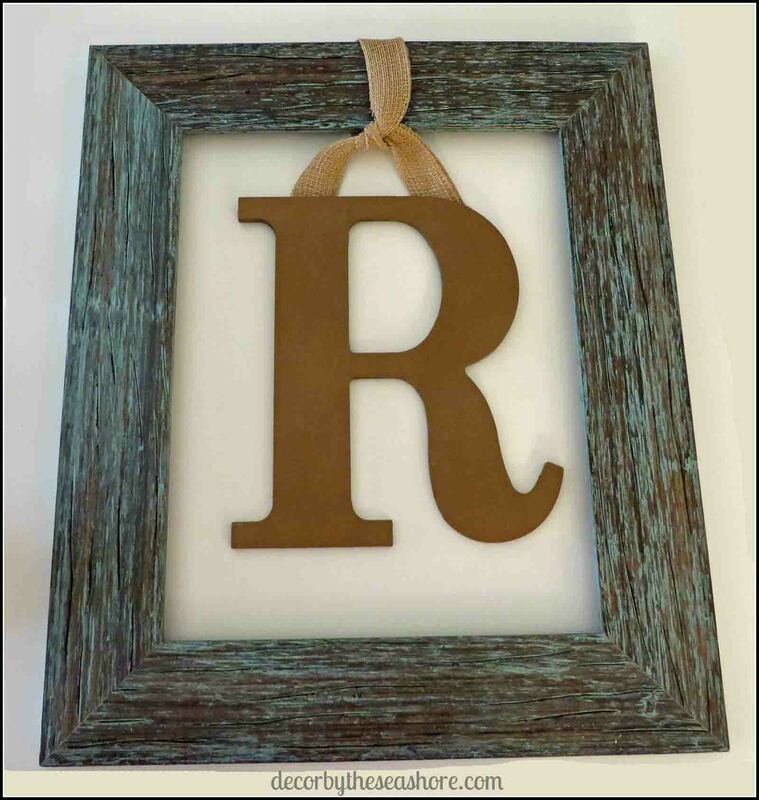 Feel free to share pictures of your framed monogram creations. These are so easy to personalize and make the perfect gift or decoration for your own home! Thank you! It is quite rustic! I will be sure to check out your link party! Thank you! It is really so simple to make! I’ve got two gorgeous frames without glass that I don’t want to throw away but haven’t figured out what to do with them yet. Doing this with the larger one would be super cute! Thanks for linking up with the FrugalMommas team! 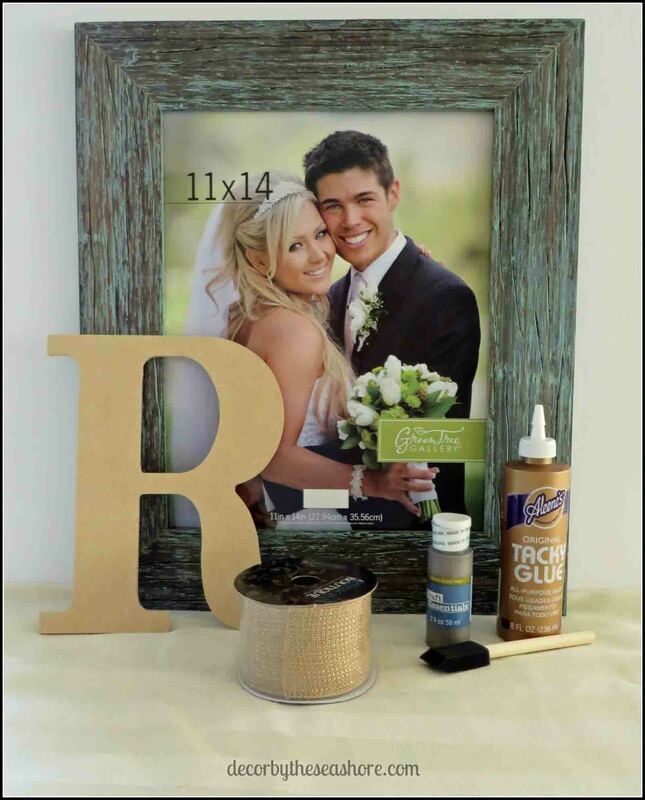 This is the perfect craft for those frames without glass! Thanks for checking out my tutorial! Cute! thanks for sharing on craft schooling Sunday! Love the idea as a cute alterbative to a wreath for those changes in season. Thanks for sharing! Thanks, Paola! You are right, this is the perfect alternative for a door wreath! Cute idea, and it would be so easy. 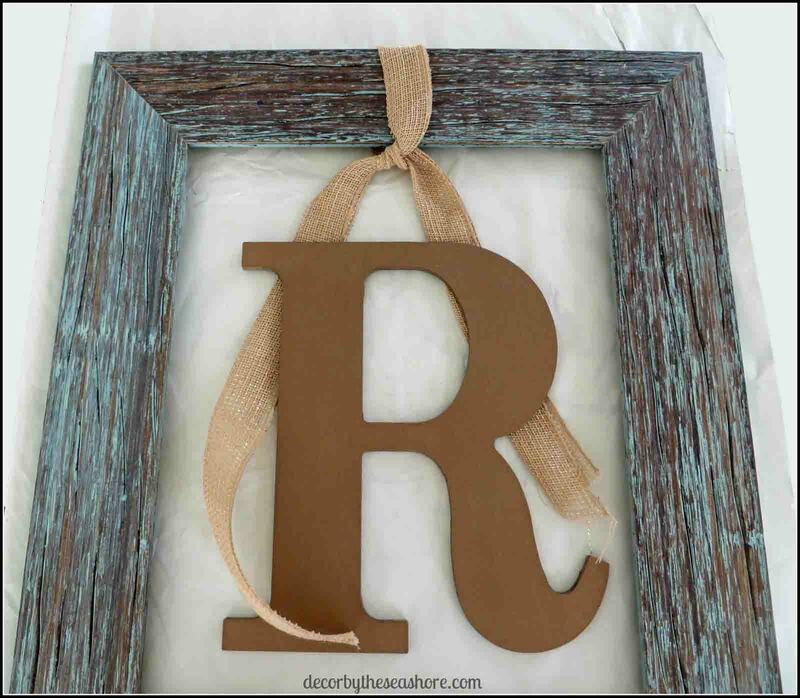 I love the rustic look or the frame. Thanks, Linda! It’s super easy and makes a great personalized gift as well! Aww, thanks so much Pili! I’m so excited you chose this for your feature! This is the perfect use for all those extra frames! I’ll be sure to stop by on Tuesday!